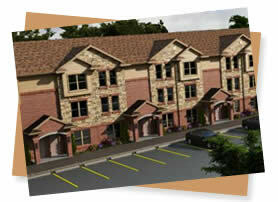 The townhomes at The Pointe offer an affordable living alternative to on-campus living. Our 4 bedroom, off-campus student apartments in Columbia, MO will make your college experience feel like you are living at home. From the spacious common areas and bedrooms to the large closets and community amenities, The Pointe is a great place to experience the duration of your college education. Being conveniently located 1.8 miles from the Mizzou campus and having a private shuttle makes The Pointe a practical place to live, with luxurious amenities to compliment the convenience. With the choice of a Furnished Apartment or an Unfurnished Apartment, your unit will be ready from the day you move in to provide comfortable living for you and your suite mates. Each bedroom can be individually assigned if it is just you or a friend, or we can rent apartments to groups of 4 as well. 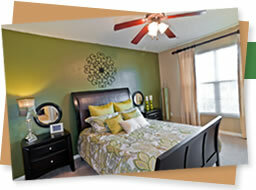 A prime bonus at The Pointe is that all utilities are included. We wanted to give Columbia, MO students who were tired of paying fluctuating bills a more practical living situation, where they were stress-free of what the number on the bill would be. Whether you are a single or a group of 4, The Pointe can accommodate you in the best Student Living option available. 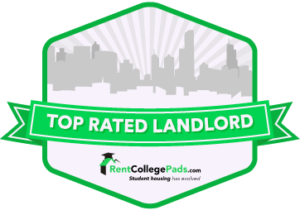 Student Apartments for Stephens, MAAC, and Columbia College too! Not only does The Pointe offer affordable living to Mizzou Students, but we also have a number of current residents who are Students at Columbia College, MACC, and Stephens College. Our location’s easy access to Providence allows all residents to have multiple travel options to get downtown and to their classes. We welcome all students and young adults in the Columbia, MO area to come check out our community, and find out what options The Pointe has to match up with your living desires. Rooms at The Pointe are constantly filling up, so if you are serious about reserving a room in a premiere location for off campus Mizzou apartments, fill out or Quick Application today, and schedule a visit with our on site staff. APPLY TODAY! Apply For Student Housing at The Pointe!